A fund manager who predicted before most economists that the Reserve Bank of Australia would cut its benchmark below 2 percent, says there’s a risk that the Aussie dollar could almost halve to an unprecedented 40 U.S. cents, a level significantly below where most forecasters see the currency. BT Investment Management’s Sydney-based head of income and fixed interest, Vimal Gor, who oversees the equivalent of about $11 billion, said in a newsletter that the outlook for the currency was “worrying” and that his previous view on it had been overly optimistic. 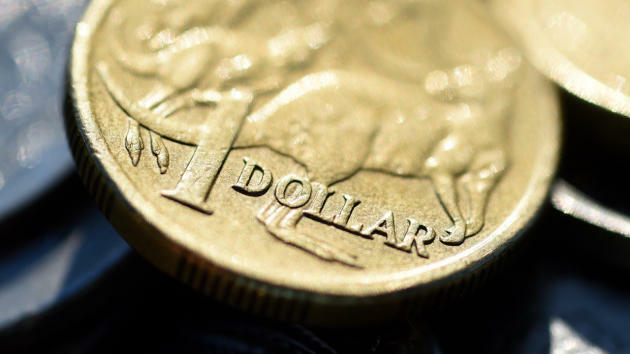 The Aussie, which bought 74.15 cents as of 2 p.m. on Friday in Sydney, has averaged 88 cents over the past decade and the post-float low is 47.76 touched in 2001. The median forecast in a Bloomberg survey of analysts is for the currency to weaken to 72 by year-end and strengthen in subsequent years. Gor also predicted that the Reserve Bank of Australia will be forced to cut its cash rate from 1.75 percent to 1 percent or lower. He pointed to what he described as the “weakness” in the composition of Australia’s most recent economic growth figures and the risks posed by the country’s reliance on foreign capital. “The Australian dollar is at far more risk than most people think,” wrote Gor, the fund manager’s head of income and fixed interest. The Australian currency has traded in a range of about 68 to 78 cents so far in 2016 and has appreciated 2.5 percent this month as global raw material prices have rebounded and entered a bull market. It also received a boost in the past week as the RBA opted to keep its benchmark rate unchanged and a weaker-than-expected U.S. jobs report prompted investors to dial back expectations for interest-rate increases by the Federal Reserve. Gor, who said last month that it was a “distinct possibility” the RBA would follow its peers in Europe and Japan in taking rates below zero, has views that are at odds with a majority of analysts. It’s not the first time. Back in March 2015 he predicted that the RBA would reduce its benchmark -- then at 2.25 percent -- to 1.75 percent and Gor said he could foresee a scenario where rates went below 1 percent. At the time, the median estimate of economists surveyed by Bloomberg was for the cash rate to bottom out at 2 percent. The currency was above 78 cents at that point, and he said then that it could drop below 60 cents. It subsequently fell to as low as 68.27 in January before rebounding. BT’s Wholesale Fixed Interest Fund has returned an average of 6.4 percent over the past five years, better than about 90 percent of its peers, according to data compiled by Bloomberg. The swaps market is currently pricing in just one quarter-point reduction in the RBA cash rate over the coming 12 months. have come at the same time that income measures are weakening and wages stagnating. The RBA also predicts that consumer-price inflation will be slower than it wants and has warned that an appreciating exchange rate “could complicate” the economy’s attempt to adjust to the end of a mining investment boom. Gor underscores the risks posed by the twin deficits in Australia’s current account and its budget as the RBA lowers rates and said that the country’s top credit rating is likely to be put on review within the next few months. “The move towards zero for the RBA will be the first for a country so reliant on foreign capital,” he said.